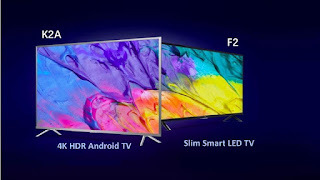 TCL iFFALCON 55K2A Smart TV Specifications: iFFALCON 55K2A is the company's flagship offering. 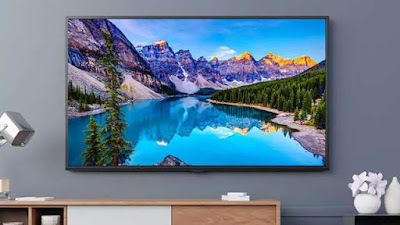 This 4K UHD TV comes with 55 inches Full HD display. It has 2.56GB of RAM and 16GB inbuilt storage with a quad-core processor and dual-core GPU. This TV will come with micro-dimming technology and White LED HD backlight. This will allow better color contrast on the screen. It has been given Dolby 5.1 and Advances DTS post-processing technology. Apart from this, the Smart Volume feature is also available on the TV. From this, the TV will automatically adjust the volume in sound fluctuation. Task switching, picture-in-picture, and inbuilt Google Chromecast features have been featured in this TV, which works on Android 7.0 Nog. Specifications of TCL iFFALCON F2: There is full HD to the micro-dimming technology available. LED HD backlight is given in it. TV comes with T-cast. This is an integrated feature whereby users can operate TVs from their smartphone. The TV has a Dolby decoder and supports many formats of audio and video. There are also safety features such as Lightning Protection, Fast Heat Ventilation, and Wide Voltage Range. The company claims that the TV consumes low power and is Moisture-proof. Xiaomi 32-Inch Mi TV 4A: 32-inch TV set has a resolution of 1366X768 pixels. The device has a 178-degree viewing angle feature. The device's dimensions are 733x478x180mm and its weight is 3.94 kilograms. The New Delhi (Tech Desk) TCL Multimedia has introduced its new brand iFalcon in the Indian market. The company's goal is to strengthen its stake in the domestic Smart TV market. The company has introduced three Android-based Android models iFFALCON 55K2A, iFFALCON 40F2, and iFFALCON 32F2. 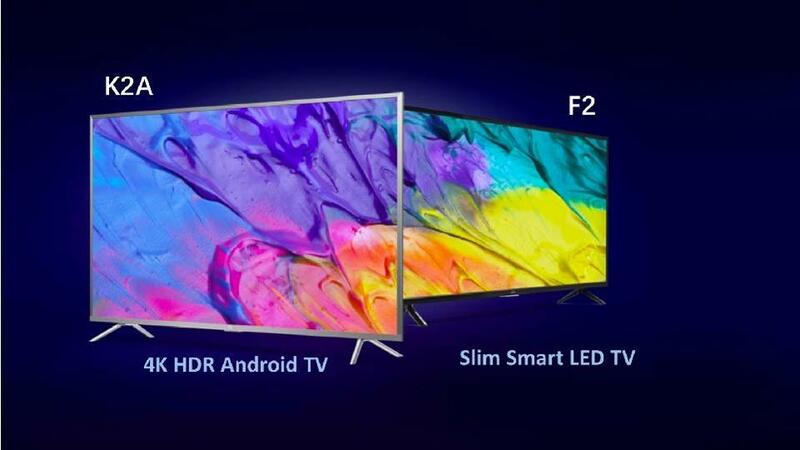 In this price range, they will be competing with Shomie's K-LED Smart TV. With live offers: The company has also shared content with many companies including Jio Digital, Netflix, Google Play Movies, YouTube, Eros Now, Voot. The company has kept the price of IFalcon 55K2A at Rs 45999. At the same time, the iFalcon 44F2 has been priced at Rs 19999 and Rs 13,499. The three models are available for pre-booking on Flipkart. TV will be available from May 7. The three models will come with GeoFi data card bundled cashback offer. 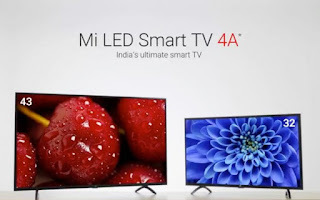 Xiaomi 43-Inch Mi TV 4A: The 43-inch TV set has a resolution of 1920X1080 pixels. The device has a 178-degree viewing angle feature. The device runs on the eModic T962 processor. It has a 450 MP5 GPU. The device has 1 GB of RAM and 8 GB of storage. Speaking of connectivity features, the device includes Wi-Fi features with three HDMI ports, two USB 2.0 ports, an Ethernet port, an S / PDIF audio port, an AV component port, 3.5mm headphone jack port, an antenna port. According to the company's claim, the TV has given Dolby Audio and DTS-HD. 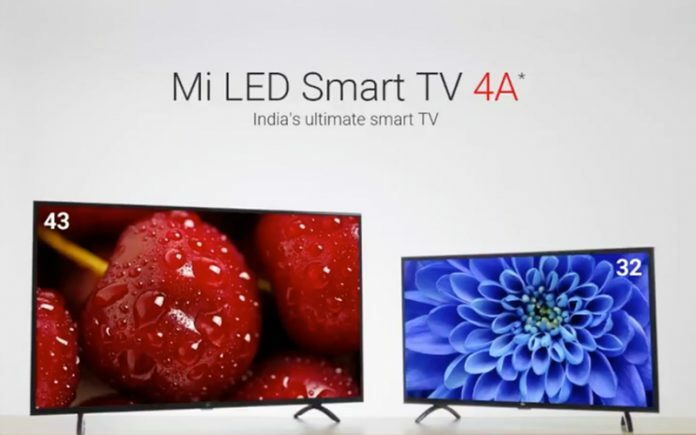 Xiaomi's 43-inch TV4 A is priced at Rs 22,999. The device runs on the eModic SX962 processor. It has 450 MP3 GPUs. 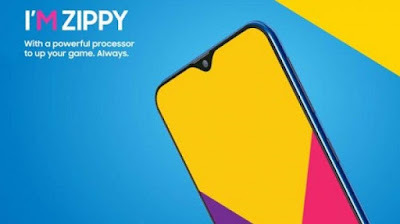 The device has 1 GB of RAM and 4 GB of storage. The device has an Antenna port, two HDMI port, USB 2.0 port, an Ethernet port, an S / PDIF audio port and Wi-Fi 802.11 B / G / N for connectivity. The device has two 5-watt speakers. The sound system of the TV is good and it gives real experience. Shawomi's 32-inch TV4 A is priced at Rs 13,999.